I cannot tell you how easy you and your company have made this process for me. In the past I have had difficulty with buying stuff online. I have been looking to start a business for the last six years and caught wind of your website. After dealing with you, and other staff at SCM I realized I wanted to continue doing business with you. I started my business on July 3rd, just got it completely set up yesterday, and made my first sale today! 3/4 horsepower oil-less compressor supplies constant air flow to the handpiece. Adjustable air pressure. Comes with 15 feet of hose. 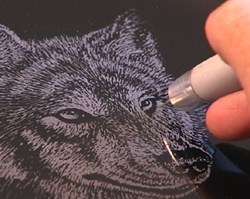 Artwork is a major portion of engraving. SCM has the largest selection of books and artwork available. 100 original pages of designs (1,000's of patterns to choose from: borders, wildlife, flowers, holiday designs, and more. Sleek executive styling, crafted of fine leather and vinyl. Projects the image of a professional, successful entrepreneur. Durable safety goggles to be warn when engraving. Holds your drill when not is use. Two masks to be worn when engraving. Includes 100 blank stencil sheets. When using this system, it turns even a novice into a superb craftsman. These can be used on standard copy machines and laser printers. Filter/regulator unit. Delivers clean air under constant pressure. Come complete with an attractive mounting stand and automatic moisture release. 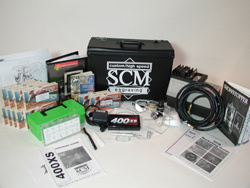 Eliminate the worry of constant checking for moisture in your system. Takes unwanted moisture out of the air and automatically release it. Great for high humidity areas. A must for any engraver. Electric on/off switch allows easy control. Perfect for cleaning diamond/carbide tips for extended use. When engraving is complete and you want to remove your stencil, peel off excess materials quickly and easily with the stencil remover (includes extra blades). Used for cleaning and finishing glass etchings. Rugged plastic case to hold engraving supplies. Durable plastic utility box has 18 compartments for storing all your bits. Marks all of your bits for easy identification. 40 of the most commonly used sizes of both types of bits. Over four hours of instructions showing you how to assemble the equipment and thorough technical information showing you how to engrave glass, wood, metal, eggs, and stone. 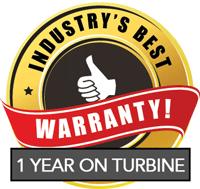 Your system comes complete with our fully illustrated, step-by-step training manual. This comprehensive, easy to follow manual will provide you with information to operate smoothly and successfully. This comprehensive guide will show you how to become successful in your engraving business. Over 250 pages of information on marketing techniques that successful engravers have used. A pricing guide is also included - including prices per hour, per product, per letter (wholesale and retail), and business card ideas. When you become an SCM custom engraver, answers to all your questions are available at your fingertips via our toll-free telephone support system. Whether it's a technical question, or whatever, we'll be there with the help when you need it. Including how to price and promote your services. This support will help you in the beginning steps, until your business has grown to a successful, prosperous endeavor.